Kate Loatman is the executive director of the International Council of Beverages Associations (ICBA), the international nongovernmental organization that represents the interests of the worldwide non-alcoholic beverage industry. ICBA members include national and regional beverage associations as well as international beverage companies that operate in more than 200 countries and territories. Together, they produce, distribute and sell non-alcoholic sparkling and still beverages, including soft drinks, sports drinks, energy drinks, bottled waters, flavored and/or enhanced waters, ready-to-drink teas and coffees, and juice drinks. In her position, Ms. Loatman works with member companies around the globe to build consensus around industry positions on critical issues, manage the industry’s issues agenda, represent the industry’s positions before global regulatory bodies, and provide resources and support to beverage associations around the world. Previously, Ms. Loatman practiced Food and Drug law at King & Spalding, and served as ABA's Deputy General Counsel. Ms. Loatman holds a bachelor’s degree with honors in English from The College of William and Mary, and a juris doctorate with high honors from The University of Texas School of Law. Simone Soo Hoo is the director of global affairs for the International Council of Beverages Associations (ICBA). Soo Hoo serves as the first point of contact for beverage association members and is responsible for maintaining the operations of the organization; providing support to regional group directors; representing ICBA before allied trade associations; managing member recruitment, retention and resources; and leading the coordination and content development of member meetings and calls. Soo Hoo was previously director of research for the American Beverage Association. In this role, she managed health professional outreach at key conferences and meetings, in addition to a range of other public affairs and communications tasks. She holds a master’s degree in International Relations from the United Kingdom’s Sussex University as well as a bachelor’s degree in Diplomacy and World Affairs from Occidental College in Los Angeles, Calif.
Geoff’s first senior management role was at the age of 24 managing a budget of $5 million and a team of 50 staff. 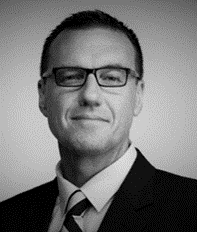 Over the last 20 years, Geoff has held a diverse range of executive management positions in private companies, government departments and industry associations. In addition to his management experience, Geoff has over 20 years’ involvement in boardrooms including global training companies, national not-for-profits, arts organisations, public companies, statutory authorities and international associations in both director and chair roles. In 2009 Geoff took over as Chief Executive Officer of the Australian Beverages Council – the non-alcoholic beverage industry’s peak body. Since that time Geoff has successfully managed two mergers, strengthened the organisation’s equity reserves and firmly positioned the Beverages Council as the respected voice of authority for the industry in Australia with a broad range of stakeholders. In 2010, Geoff was elected as President of the International Council of Beverages Associations (ICBA) and in 2012 was elected for a consecutive two-year term. Geoff continues on the Executive Committee of the ICBA and is also a board member of the International Council of Bottled Water Associations. Geoff is a Fellow of both the Australian Institute of Management and the Australian Institute of Company Directors and holds qualifications from the University of Queensland and the University of Cambridge. He is a terrible golfer, a much better runner and enjoys cooking and wine matching (hence the running). Santiago Lopez is the Latin American Regional Director of the International Council of Beverages Associations (ICBA), the international nongovernmental organization that represents the interests of the worldwide non-alcoholic beverage industry. He was recently the Executive Director of the Beverage Industry Chamber of the National Business Association in Colombia, the trade association that represents the collective interests of beverage producers, manufacturers, bottlers and distributors of juice drinks, bottled waters, regular and diet soft drinks, sports drinks, energy drinks, ready-to-drink teas and beer. Since 2010, he is professor of lobby and public policies at - Universidad Sergio Arboleda- in Bogotá and currently sits on the board of ICONTEC, the Colombian Institute of Technical Standards and Certification and in the National Commission of Advertising Self-Regulation - CONARP. 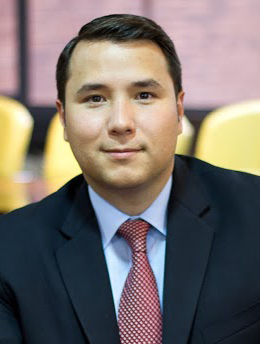 He has served as director of legal affairs at the Colombian National Association of Foreign Trade and as a legal advisor at the Colombian Senate in topics related with free trade agreements, bilateral investment treaties and government–private sector relations, field in which he holds an extensive experience. He received his Law degree from - Universidad de los Andes Colombia, holds an LL.M in International Law, Trade and Investment from Heidelberg Universität in Germany and a Master’s Degree in Political Action, Institutional Development and Citizen Participation from Universidad Francisco Vitoria in Spain among other studies focused in commercial law, government relations and regulatory affairs.